HARMAN and 1,000 Dreams Fund are working together once again to seek out the next generation of inventers, leaders and visionaries through our #NewFaceofTech Campaign, a national scholarship program for young women with career aspirations in Science, Technology, Engineering, Arts and Math (STEAM). 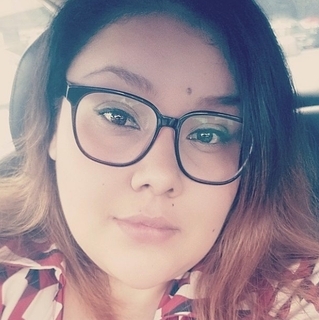 Brenda Estrada, one of our 2017 scholarship recipients, is on track to complete her Bachelor’s degree. 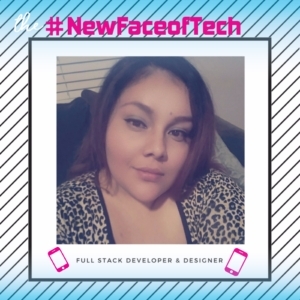 In addition to finishing projects in mobile app development, design, marketing, and web development for clients that include consumers, small business, and major corporations, Brenda has secured a scholarship with Google’s innovative training program via Coursera, which prepares Americans for careers in IT support. By combining her banking experience and STEM education, she hopes to pursue a career in FinTech, bringing alternative solutions to underbanked and credit challenged individuals – and help them gain financial security. We recently connected with Brenda to know more about what’s kept her busy in the past year. Q: How have the funds helped you achieve your STEM dream so far? A: My grant enabled me to purchase software and hardware that I couldn’t have imagined committing to at that time. With the funds, I was able to purchase an iPad pro along with a subscription to Adobe Creative Cloud and a handful of books that have contributed to my academic and professional progress. Q: You mentioned in your interview from last year that at times you’ve suffered from imposter syndrome. Has winning this award helped at all in that area? Or are there other strategies you’ve learned to help you cope with those feelings? A: Imposter syndrome is still relevant in my day-to-day life. Winning this award has definitely impacted me positively, but I still deal with the anxieties that come with a major career change. Throughout last year, there were a few months where I was too intimidated to even look for courses or mentorships. I had been fired from what seemed to be an ideal internship. I was failing some courses. I felt like the biggest fraud because I wasn’t where I felt I needed to be. As a 31-year-old woman, you’re supposed to have your life together, right? But here I was, a thirty something mom of one with the craziest impulse to change my career path. I felt the odds were stacked against me. When you have so many outside factors affecting your prospects for success, what do you do? Do you sit back and mope? Or do you take action? This is when I came to the realization that drive and initiative is EVERYTHING regardless of age, gender, and sometimes even skill. There will always be someone that articulates ideas better than you. There will always be others that dissect and debug quicker than you. The list goes on and on… but comparison is not the key to move forward in any industry. I have conquered my frequent bouts of imposter syndrome by seeking assistance when needed and ultimately realizing that collaboration, accountability, patience, and continued skill development are key to defeating imposter syndrome. Q: What have you been up to since we last checked in with you? Any major developments or accomplishments you’d like to share? A: Since we last checked in, I’ve taken some strides to improve my skills by continuing my education. I am set to receive a Bachelor’s Degree in less than a year. I have also completed projects in mobile app development, design, marketing, and web development for clients that have included regular consumers, small businesses, and major corporations. It has been an exciting time filled with professional and personal growth. However, my major driver always has been and will be FinTech. I would love to combine my banking experience with my STEM education. Ultimately, I would love to offer my services to implementing new technologies within the FinTech world where we would be able to serve underbanked and credit challenged individuals with alternative ways to improve and build their financial security. Q: On the other side of the coin, is there anything coming up on your horizon that you’re excited about? New opportunities, classes, or other developments upcoming in your life? A: I will be graduating very soon with my Bachelor’s Degree. I’m very excited to see what opportunities arise from this long awaited milestone. I have also been accepted to participate in Google’s innovative training program via Coursera. They have designated 10,000 scholarships to prepare Americans for careers in IT Support, I was fortunate to be one of those scholarship recipients. I look forward to completing this course. Q: Anything else you’d like to share? Perhaps some guidance or inspiration for young women in STEAM who might be interested in applying to the opportunity this year? A: One of my biggest issues since pursuing a new career has been the fear of failure. What I’m coming to realize is that every single day is a brand new opportunity to start all over again. It’s okay to make mistakes. It’s better to have to correct a mistake as opposed to having wondered why you never pursued your dream career when you’re 85. You don’t have to be perfect to succeed. EVER.